What is an OEM Furnace Filter? 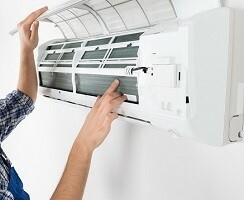 Home » FAQs » What is an OEM Furnace Filter? A furnace filter that is identified as an OEM filter is an “Original Equipment Manufacturer” filter. It is made by the same manufacturer that made your furnace. 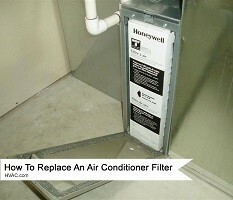 HVAC.com offers OEM filters, guaranteeing reliable, high-quality filters that fit your furnace perfectly every time. An OEM filter has several differences compared to an aftermarket filter. The most obvious difference is the OEM is manufactured by the same company who produced your furnace. An aftermarket filter, similar to a generic filter isn’t created by the same manufacturer. An aftermarket offers the same fit and performance as an OEM, but it’s not a hundred percent guarantee like a factory original filter. Cost: The cost of an OEM is higher compared to that of an aftermarket filter. The increase in price might deter some from purchasing an OEM but with a higher price comes reassurance. You won’t have to worry about whether or not your OEM filter fits your current furnace or its effect on your system’s performance. 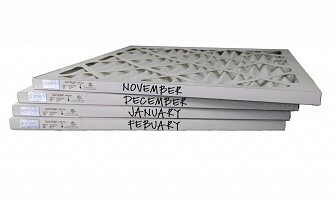 An aftermarket filter might not give you the fit you require or allow your furnace to operate at its highest efficiency. Brand name: The OEM filter comes with a trusted brand name as opposed to the aftermarket filter. Knowing your filter is produced by the same manufacturer as your furnace gives you peace of mind that you are getting a high-quality product. The filter was designed specifically to meet the performance needs of your furnace, and has been backed by testing that is reliable. Material: Both the OEM and aftermarket filter look similar, but they aren’t always made of the same material. There could be a slight variation or a noticeable difference depending on the patents required for an OEM and what’s available for the aftermarket filter. An OEM filter might be more expensive but the quality you are getting makes up for the extra expense. You won’t have to worry about finding the perfect size to fit your furnace with an OEM filter or wonder if it will decrease your system’s efficiency. An OEM filter guarantees excellent performance from your furnace and a flawless fit to keep your airflow consistent throughout your home.